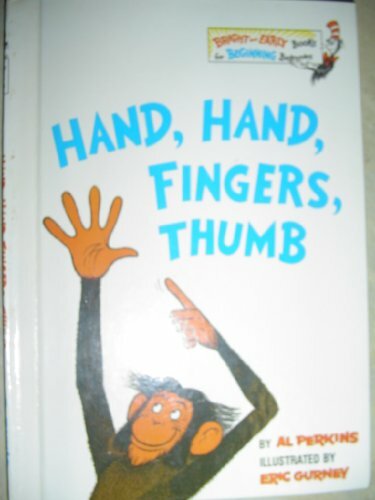 Very young children will appreciate 'HAND HAND FINGERS THUMB' on the most basic finger-playing, hand-clapping level. This comic, rhythmic book gets 'drummed' and memorised first and read later. A book to last from babyhood to early school. Bright and Early books help even the youngest child get ready to read. Simple stories and basic concepts are humorously presented in rhythm and rhyme. Pictures that fully explain the text help even babies make the important connection between word and meaning. It's never too early to find out that 'Learning to read is fun'.